Home Maid Clean is a professional domestic cleaning and carpet cleaning London company. We provide domestic cleaning, carpet cleaning, upholstery cleaning, sofa cleaning, mattress cleaning, curtain cleaning, end of tenancy cleaning, after builders cleaning and commercial cleaning services, everywhere in London within the M25. What are the key principles in our work? Our staff is carefully trained to ensure superb quality exceeding the customer expectations. We offer 100% customer satisfaction guarantee for all our carpet cleaning, domestic cleaning and commercial cleaning services. If you are not content with the quality of services provided – we will send a supervisor and redo the job for free. 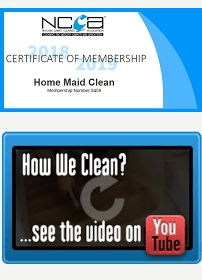 Home Maid Clean is a top-rated company on FreeIndex.co.uk based on independent customer reviews (58 out of 60 customers gave us a 5-star rating). We are ranked 11th out of 3,129 UK Carpet Cleaning Companies! Check also our customer testimonials and the reviews on Home Maid Clean Facebook page. Our cleaning packages are fully customize-able to include the exact combination of cleaning services you need. Whether it’s complete domestic cleaning, professional steam carpet cleaning, deep cleanse of your sofa, mattress cleaning, curtain cleaning or else – you can have it all packed and done in a time fitting your daily agenda. You only pay what you need cleaned. We use powerful professional Prochem equipment and the best cleaning detergents, including eco detergents, for a spotless result and fresh, odour-free air in the premises cleaned. We take pride in being an industry leader and reward our staff for making a difference. Our cleaners join different training programs and courses and follow the latest technological advancements in the sphere. 90%+ of our cleaning maids are key holders. We know that some cleaning situations require an instant reaction. 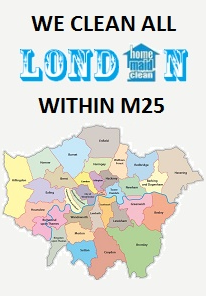 Should you need an urgent cleanup, anywhere in London within the M25 – we will assign the first available cleaning slot to you. No rush fee charged.